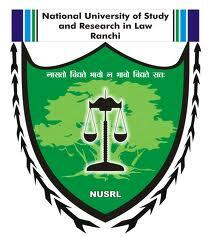 National University of Study and Research in Law, Ranchi invites papers for the National Seminar on Role of Regulatory Agencies in Developing Business Laws in India to be held on the 7th and 8th of September, 2013. Seminar papers are invited from Researchers, Bar and Bench, Corporate Professionals, Bankers, Academicians and Government servants on the above mentioned themes. Authors of selected papers would be given an opportunity to present their papers depending on the recommendations of the Committee based on certain parameters as per requirement of the theme.Papers selected by the Committee may be published in the NUSRL Occasional paper with ISSN and subsequently those may be published in the form of Book with ISBN. Papers should be in 6000 to 8000 words. Those must be typed in Times New Roman Font size 12 on A4 size paper with one inch margin on all sides with 1.5 line spacing using MS Word application 2010. The papers should contain an abstract of 300-350 words. ILI rule of footnoting should be followed. The abstract should be sent along with the title of the paper to the Convener of the Seminar at [email protected] and Demand Draft drawn in favour of “Registrar, NUSRL” and full contact details of the author/s should reach to the Convener at the address mentioned below on or before 7th August, 2013. No abstract will be accepted without registration fees. A soft copy of the full paper also should reach to the Convener on or before 17th August, 2013. Any e-mail communication/enquiry regarding Seminar should be by specifying “Role of Regulatory Agencies in Developing Business Laws in India”for convenience. September, 2013 to 8 a.m. on 9th September, 2013 (Requisition for extended accommodation should be intimated to the Convener at the time of submission of DD).